Pete Meyers posted on Twitter a new test Google is conducting in the local pack. 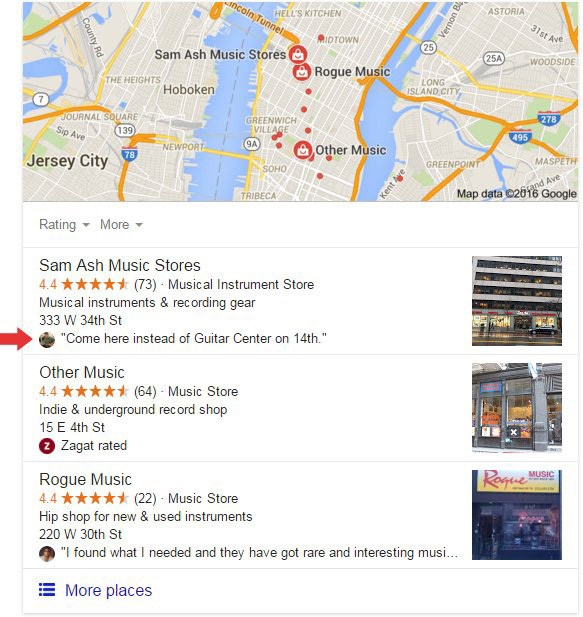 Google is showing review snippets on some of the local results directly under the address of the snippet. I personally cannot replicate it but it seems to come up when the Zagat or other 5th line elements do not show up. Forum discussion at Twitter & Local Search Forums.